I haven’t posted many updates lately. I’ve been in a place where I just couldn’t see purpose in all of this anymore. I didn’t feel like it was worth it anymore. Not feeling like you have a voice or purpose is an awful feeling. Especially since I’ve always been such a big advocate of HOPE. I reached a place where individually I felt like my life was somewhat hopeless and was being wasted. I didn’t feel like I was living fully anymore, I was simply going through the motions. I didn’t even know what to hope for anymore if I did dare to hope for anything. To put it simply, I’ve just felt like a mess and was hurting a lot. As I’m typing this, things have changed for the better since the darkest of the days. I’m trying to figure out what I’m supposed to share, when, how and where. I’m not sure if I should be writing, speaking, etc. But I do know that I’m not going to sit back and let this past 6 years be for nothing. I’m not going to stop believing that there is purpose in this hardship. That I have purpose. Many have heard 2 Corinthians 12:9 “My grace is sufficient for you, for my power is made perfect in your weakness” But I want to back it up to 7 and 8 where Paul speaks of the thorn in his flesh, a messenger of satan, to torment him. Paul pleaded three times with the Lord to take it away from him. How many of us have something that TORMENTS us? I know I have had many things in my life that I BEGGED God to take away. God’s response was not to take it away. God said “My GRACE is SUFFICIENT for you, my power is made perfect in your weakness.” I will be the first to admit that this has been a season of weakness for me. But Grace. My afflictions eclipsed by His glory. I will never forget sitting in front of my husband’s oncologists office in 2012 wondering what we have done wrong to be facing a terminal cancer diagnosis. Certainly a good Christian would not be diagnosed with cancer. Certainly this is a direct result of sin. I opened my bible app and the verse that day was John 16:33 “I have told you these things, so that in me you may have peace. In this world you will have trouble. But take heart! I have overcome the world.” He never promised that we would have an easy life! He actually TELLS us we WILL have trouble! He DID HOWEVER, promise us GRACE. Grace can get us through all circumstances. As simple as that sounds, its not always something that feels attainable. I don’t want to mislead anyone into thinking I have this all figured out. Being a caregiver is hard. God’s grace shows up IN OUR WEAKNESS. IN OUR HURT. IN OUR BROKENNESS. IN OUR IMPERFECTIONS. IN OUR MISTAKES. God’s grace can eclipse all of that! Grace allows us to still have thankfulness, to still have joy, to still have peace…even in the midst of our hardest days. His grace and forgiveness washes away even our biggest mistakes. Or maybe sometimes Grace just realistically looks like “Hey, I survived today. I had patience today. I had peace today. Well, maybe not even in every moment…but I was those things when I didn’t think I could be.” I think we sometimes have a hard time really comprehending the big picture. For me personally, when I think of Grace….I think of surviving moments that felt helpless. I think of coming up for air when I felt like I was drowning and didn’t have the energy to even tread water. I think of the days I was able to remain calm and patient when everything around me was spiraling out of control. My husband was a Marine for 21 years. Two years after he retired, a month after our youngest turned 3, he woke up one day severely confused to the point that he could not even function. He had taken Thursday day off work to blow bubbles with our youngest daughter before leaving the next day on a business trip to Japan. He was really confused that morning though. He was looking in the fridge for his socks and said he needed help getting dressed. I knew something was wrong, so I loaded the two of them up and went to the ER. Initially they realized he had no right peripheral vision and they ordered a CT Scan. They found a mass on his brain and ordered an MRI. That night we spoke to a brain surgeon and were told that we were going to stay the night while they got his brain swelling under control and then we should go home and get our affairs in order and prepare for him to have brain surgery the next week. The doctor suspected it was a high grade cancer. To make a long story short, he was diagnosed with Glioblastoma which has a prognosis of a weeks to a few months with no treatment, or maybe about a year WITH treatment. People don’t survive this cancer generally speaking. Less than 4% live to see 5 years past diagnosis. Mike went on hospice in January 2015. While he was on hospice, our 15 year old became pregnant. That entire situation was a huge lesson for me on grace. How to give it and how to walk in it. In Dec 2015 our grandbaby was born while Mike was still on hospice. After a year and a half on hospice, Mike was removed. He is much like a dementia patient as he struggles with self care and memory. He requires 24 hour supervision and assistance. Through all the struggles, all the stress, all the overwhelming moments, God’s grace has sustained me. God’s grace is bigger than our mistakes. And have I ever made mistakes. God’s grace is bigger than our brokenness. And I am the first to admit I’m broken. God’s grace is bigger than our mess. I am a mess at times. I’ve made messy decisions…I don’t have all this figured out quite yet. God’s grace is bigger than our PAIN. And let me tell you, I’ve experienced pain this year. All the emotional pain of the last 6 years hit me hard and took me on a downward spiral. I can’t be the only one who has experienced this. Nothing specifically changed on the outside, but on the inside all of a sudden I just felt Raw. Broken. Hopeless. At my lowest, as God always does, he swooped in and saved me… Again. And I have a feeling He will do this again and again and again. The Session this week is called “Call it Grace” and those three words are what inspired this entire blog post. Log into Facebook and check us out April 21st at about 7pm Eastern time and hear more about the life saving power of grace. I remember so clearly Mike talking about the “life reset button” that he felt he was given. If he had known the future, he probably would have been tempted to opt out of treatment. I’m glad he didn’t know because he wouldn’t have understood the plans God had for him or understood the lives he’d touch by his tenacity to face each day. By the time a person is diagnosed with Glioblastoma, their ability to research and advocate for themselves is usually pretty limited. Due to brain swelling, Mike was severely confused. I’ve walked many people through the first weeks of diagnosis…the hard part is knowing that long term survival is rare…and even if they are “blessed” with long term survival, chances are their lives will never be the same. I’m about as thankful as they come…but some days don’t feel so blessed. That’s the reality of what we are living. May was brain cancer awareness month and I’ve learned that GBM is more common than I ever realized. God placed in our path a widow who had walked out GBM with her husband before Mike’s pathology even came back. She was a friend of a friend. Because of that, I felt two steps ahead because I was able to research. Sitting in the doctors office and hearing GBM – I already knew what we were up against and I had already done research. When the surgeon told me NOT to go to Duke or ask for a second opinion, I already had my mind made up that we were going. Had I not already done the research, I might have never pursued the brain tumor center at Duke. Just some random thoughts as Mike’s official 4 year date of his first surgery and diagnosis is coming up. 4 years ago he had a deadly brain tumor that was growing and causing havoc, we just didn’t know the extent of what was going on in his head just yet. At about 1am after an exhausting day, I finally got into bed to sleep knowing I had to be up by 6am. Mike talks a lot as I’m trying to fall asleep and he kept saying “I’m proud of you. I love you.” And guess what, I woke up proud of myself. We have been together for 18 years and a lot of negative words were spoken in those 18 years. A lot of people who know us now would be surprised at the struggles we had. I’m pretty transparent about our lives in hopes to help others. Words are SO powerful. They have the ability to speak life into someone or totally tear them down and destroy them. Words have healing power. Do we want to build up our loved ones or destroy them? Use your words wisely and speak life into those you love. Words are creative. Negative words can creative a slew of destruction including insecurity and doubt. Negative words cause pain. Pain causes destruction. Negative words can destroy marriages and relationships. Positive words can CREATE. How COOL is that when you really think about it? By what we speak, we can create hope, love, encouragement, excitement, motivation, relationships! I could go on and on. I think all too often we like to blame someone for their actions against us but we take no responsibility for our words or attitudes towards them. Our words don’t even have to be specifically against them to destroy a relationship with them. Negative words are not going to return to us in positive actions for the most part. It takes a whole lot of grace to respond to negativity with something positive. I’m not saying I’m positive all the time. Yesterday was an emotional day for me and I ended up in tears several times. The thing is, I don’t unpack and live there. Facing the tough parts of life and then focusing on the positive is not only my goal. it’s my survival strategy. We have a responsibility to speak life into those we love. This is so important for those with brain cancer and their caregivers too. If you are suffering and you have a caregiver, you can breathe so much LIFE into them by thanking them. Build them up with words, tell them they are doing a good job and that you appreciate them. I bet they will be motivated to take even better care of you. If you are the caregiver, you can build up your loved one by using words to show them they are NOT a burden to you. Let them know it is an honor to care for them. Sometimes with brain cancer, depending on what area of the brain is damaged or where the tumor is located, no matter what you do, there is anger and aggression. (It’s not limited to where the tumor is located. Sometimes the brain has swelling and that swelling causes pressure to another area of the brain. Different areas control different functions, but swelling can cause your loved one to have functionality issues in different areas.) It’s hard to let those words and actions bounce off us as caregivers. It’s hard to not let that cause damage to us and our relationships. I personally pray for grace in those moments. I’ve prayed for protection over my kids that in those moments that there is a hedge of protection around them. I’m trying so hard to lead my example for my kids. If they see me act in patience and kindness, they are more likely to do the same. I learned this the hard way. When I react to some of Mike’s behaviors with frustration, the kids do too. I don’t always succeed, but I do better than if I didn’t try at all. I’m human and my first instinct isn’t always to act in love and kindness. 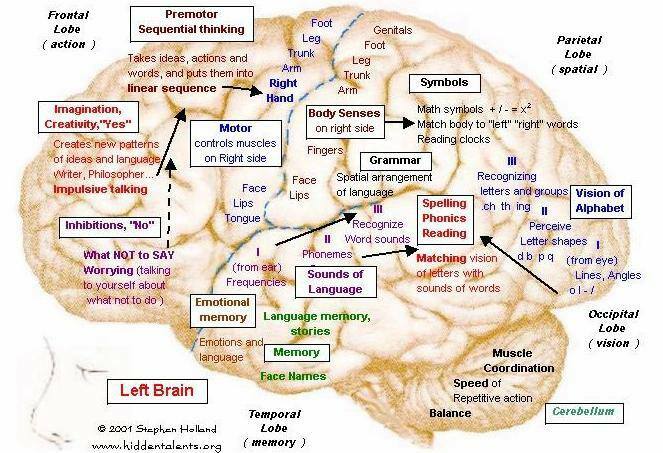 This is an interesting graphic about what areas of the brain can affect different functions. It is interesting to see because Mike’s tumor was discovered in his left occipital lobe and he can’t read because the letters don’t make sense anymore. I figured I’d also share a photo of me and my grandbaby in our matching LuLaRoe leggings! I have a whole blog post to share about being a caregiver and taking care of ourselves, so you will probably see this photo again as I’ve just recently stopped living in pajamas and actually getting dressed and taking care of me again. It was totally normal for me to shower and just change into another pair of pajamas each day because I didn’t see the point in getting dressed when I knew I wasn’t going to leave the house. I’m amazed. I’ve said over and over again that if brain cancer is what gets Mike to heaven, then it is worth it even if it cuts Mike’s life short on earth. The pastor tonight expressed the same thoughts about his uncle who died of brain cancer and I for a second thought “Whoa! I said that. Did he read my blog? !” (Ha!) Seriously, it felt like he repeated word for word what I’ve said to many close to us. Then I realized that the pastor and I both simply had the same revelation and I felt such confirmation over something that has stirred in my heart since the beginning. The big picture is eternity. That is huge! I’ve said that maybe God needs to take Mike young for him to spend eternity in heaven, that maybe if he were to live 40 more years that he wouldn’t know God and wouldn’t see heaven. Knowing God and getting to heaven is so much more important than the number of days on earth. 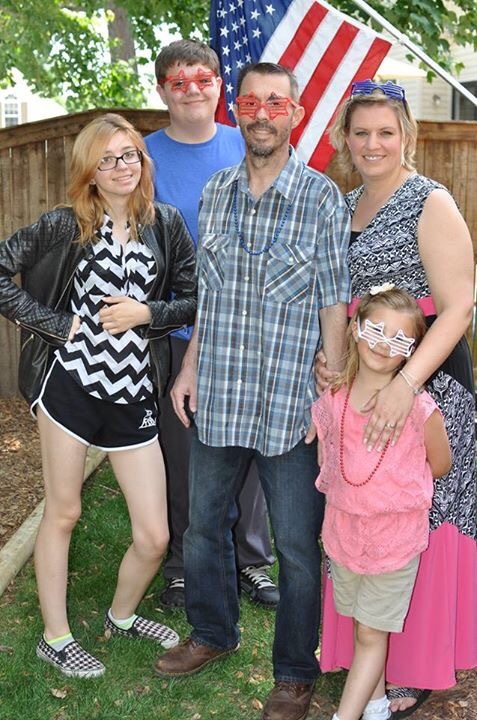 Brain cancer has saved Mikes life. His eternal life. To see the video of the service, skip to this post. It makes me think of times that I have offered to take my kids somewhere. There have been times I’ve said “Come on, we are going now or we aren’t going at all.” Even if Mike were to die tomorrow, I would proclaim without a doubt that we saw miracles. I would be heartbroken but my heart would rejoice at the miracles we have been blessed with. The blessings that God has had the opportunity to give us because of brain cancer has outweighed all the heartache and all the struggle. We feel deeper and see beauty that we never could have seen. I know that if Mike were standing in 2012 and God showed him how the three years would play out and handed him a brain cancer card and gave him a choice, he would play the card. Even typing that seems crazy because I don’t think I could live some of those moments over again. It blows my mind, but it’s the truth! When Mike understood that he had brain cancer he often said that it was a blessing and that it was a “life reset button.” He now doesn’t understand that he has brain cancer. He can’t relate one moment to the next. He asked 15-20 times during church where his wallet was. Before we left the house he was brushing his hair with a toothbrush. He looks out the window at least 5 times a day and asks if we got a new vehicle. He gets lost in our house. But when he understood that he had brain cancer, he was thankful for the changes brain cancer brought in a way that’s hard to explain without feeling like I’m insane and typing gibberish. There’s a peace that brings me to remember that. He often called his brain cancer “a means to an end.” We all want to see miracles in real life. They sound awesome right? We are all “yay, miracles!” You know what that means though? It means you have to be in a desperate, empty, painful and hopeless place. A place where you are out of options. A place where you have absolutely no control. That’s the place miracles happen. Miracles happen in heartache and brokenness. It’s not a pretty place to be. But you know what else? It’s worth it. You are looking at a family that has been miraculously healed. Its kinda crazy how life events can bring your attention to things that you never really thought about before. The brain is so interesting to me now. Anything about the brain and how it affects, well, everything! This photo explains so well why people who develop tumors in different parts of the brain have different deficits. Mikes main deficit (which is the loss of vision on his right side all the way to the center, and he has a hard time reading now) is a result of the empty cavity that is now in his Occipital lobe. We will take an empty cavity where a tumor has been removed over a growing tumor any day! Often people are diagnosed with a Glioblastoma that is not operable because it is embedded in the brain too far, or is attached to a place in the brain that can cause paralysis. We are still thankful for the location that his tumor was in. They are still watching the location very closely, (at least every 8 weeks with an MRI) because these little monsters like to come back in their original location, or in new locations all together. We are thankful that his treatment is working and there is no regrowth. With that said, we are so close to celebrating ONE YEAR with no regrowth!! Too many people who get diagnosed with a GBM are not as fortunate to be able to celebrate a year. I think knowing that is what is causing me some anxiety about this next MRI. We are so close to that milestone!! I know I have said this same thing over and over….but I have to constantly remind myself that there ARE long term survivors and there is no reason that Mike cannot be one of them. I read about long term survivors and there is always a blurb in there about “Only 3% of those diagnosed with GBM live to be long term survivors…general prognosis is 12-14 months” and it cuts me a little in the heart, and gets me emotionally for a second – but then I do the self pep talk that this small percent will be Mike! There is no reason not to have hope and faith. I will be honest for a minute though. I hear stories all the time in online support groups and via email about others who are newly diagnosed with GBM. I choose to walk the journey with them, I support the caregivers and encourage them the best that I can. I listen to their stories and pray for them. I can’t tell you how many times this year I have been silently devastated by the news that someone loses the battle way too quickly. Its not because they didn’t put up a good fight, or because they didn’t have great treatment. I don’t share these stories usually. I go into a room and shut the door, cry for the loss of that family, cry at the reality that they had the same diagnosis as Mike, pray for them, and for strength for me to continue to have the faith that I need to carry on. I want each person who has lost someone to GBM to know that I do grieve with them. I think about the lives lost. With Mike’s diagnosis, I am not naive and I try not to mislead anyone in the “general prognosis” of this illness. I never know how to answer when people ask how it is going. Daily “how its going” changes. I can tell everyone that he has NO tumor right now and he is on the path to being a long term survivor. I’m so thankful for that, and it is exciting when I stop and think about it. As time goes on, I thought we would gain more and more confidence in getting those positive results from the MRI’s. I thought it would get easier. The first MRI’s after his surgeries we were so nervous because we didn’t know what to expect. The next several MRI’s got easier and easier, because we got used to getting good news. The MRI after his seizure had us scared, but again, it was good news. So I don’t know why there has been a shift in our confidence. We have started to get nervous again. Not because there are any new signs. But I guess because we know that the odds say that we should not be getting good MRI’s. The more time that goes by, the more those odds are against us. But I have to remember, God is bigger than any odds. 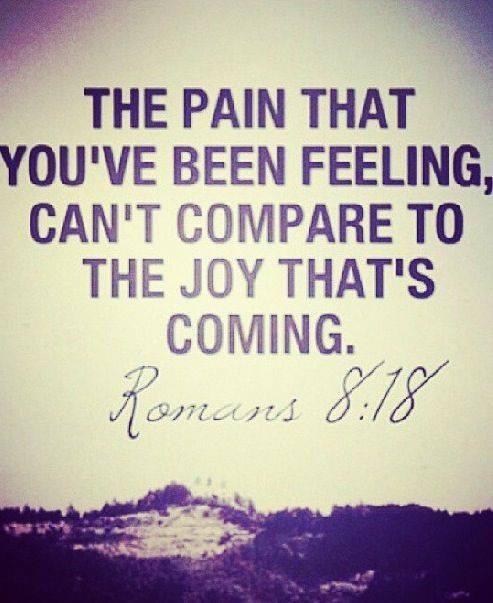 He already knows the plan He has for us, and we have to hold our confidence there. Not in the MRI’s. So every now and then we have a conversation about the reality of the diagnosis, but we try to remain positive and look forward to a great future. We try to make plans and dream of things we want to do or accomplish. We are working on that. We are working on trying to have vision for the future again. I was only going to post the picture of the brain on the blog because I thought it was interesting, but the blog just got ahead of me.